After a massive shootout, a mysterious stranger arrives at a local hospital on the brink of death. Then, a foreign gang brazenly comes to the hospital to hunt him down. His nurse, the sole surviving witness to the follow-up shootout, must face an FBI interrogation that unlocks a plot of international intrigue and revenge. 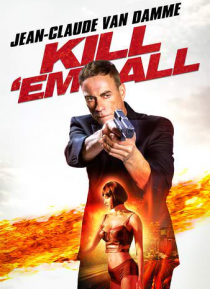 With enough twists and turns, Kill 'Em All will keep you guessing until the … final bullet is fired!